Professor Asher Susser speaking at a Fathom Forum event in London, 06 February 2017. Screenshot. Youtube. The Arab defeat in 1967 shattered the image of pan-Arabism as a vehicle of Arab modernisation. The Islamists could now argue that Western style secular nationalism was a false messiah and that ‘Islam is the solution’. The Arab states followed state interest with far less devotion to the general Arab cause, and slowly but surely withdrew from the conflict with Israel, leaving the Palestinians to fend for themselves. 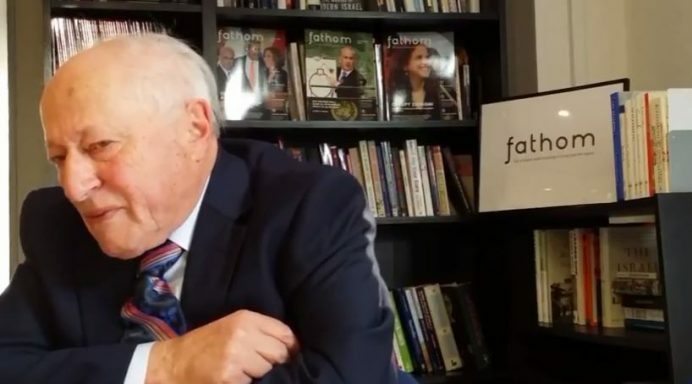 Change within Israel itself, including the rise of what Asher Susser, professor emeritus of Middle Eastern History at Tel Aviv University (TAU), calls ‘Settlerist neo-Zionism’ has been no less fateful. The 1967 War was a watershed in Middle Eastern history. Israelis call it the Six-Day War, which is symbolic of the euphoric sense of victory that Israeli Jews felt in the aftermath of the war. The Arabs don’t call it the Six-Day War; for them it’s the ‘June War’, or the ‘67 War’. It was the most humiliating of defeats for the Arabs in modern times, maybe of all time. First of all, the war wasn’t just a defeat in the battlefield. The war was also a horrendous defeat for the idea of Arab nationalism or pan-Arabism or Nasserism – whatever you want to call it. It showed that it was an empty vessel. 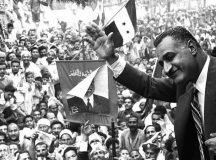 A whole generation of Arabs had hung on every word of Abdel Nasser. The Palestinians were great believers in Nasser as the man who would deliver Palestine. Almost overnight, it all came to naught. Nasser had, in theory, the formula for Arab modernisation and success: Arab unity, Arab socialism, and alliance with the Soviet Union in the Cold War. This was to be the panacea for Arab ills and for the modernisation of the Arab world. I think many Israelis don’t realise the extent to which the war of 1967 was an utter shock and humiliation for the Arabs and for the Egyptians in particular. There was a void in the aftermath of 1967 which was filled by two simultaneous but contradictory developments. One was the reassertion of raison d’etat – state interest. Once pan-Arabism was seen as ‘pie in the sky’ it became every more legitimate to pursue state interest unabashedly: Egypt first, Jordan first, Palestine first. So Egypt made war with Israel again, and then peace with Israel, each time serving purely Egyptian territorial state interests. 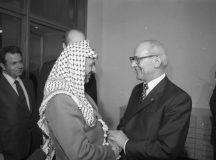 For the Arab states involved in the 1967 war with Israel, the defeat was the beginning of thinking seriously about withdrawing from the conflict with Israel. After the Yom Kippur War of 1973 we saw the gradual withdrawal of the Arab states from the conflict with Israel. Essentially, the Arab world post-67 has left the Palestinians to fend for themselves. The Palestinians spoke with ever greater emphasis after 1967 of what in Arabic is called ‘the independence of decision’. They said: ‘the Arabs have disappointed us, we Palestinians must fend for ourselves, we must be our own independent decision makers.’ By taking this position the Palestinians took ever more responsibility for their own fate. But that also paved the way for the Arab states to actually let them go, in the spirit of ‘You want to be more independent, be our guests’. The Arab states walked away from the conflict, leaving the Palestinians to fend for their own raison d’etat. The second trend that filled the void after 1967 was Islamic politics. The Islamists could now say with a lot of credibility: ‘We told you so. All this secular Arab nationalism is not going to get us anywhere. Islam is the solution, not secular nationalism.’ Arab nationalism was never favoured by the Islamists for the very good reason that Arab nationalism was actually an aircraft carrier for secularisation. Arab nationalism, at least in theory, is a secular ideology, uniting people based on the language they speak, not their religion. Arabism is about Muslims and Christians being Arabs. Islamism has the opposite effect, reasserting the sectarian differences which Arabism actually papered over. Now you’re talking about Sunni and Shi’a, Muslims and non-Muslims. This reassertion of Islamism has eroded and in some cases even partly dissolved the Arab state: Iraq and Syria are two examples. 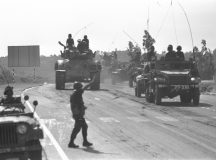 What impact did the Six-Day War have on the Arab-Israeli conflict? First, Israel appeared in the Arab mind – in the aftermath of 1967 even more than before – as a monument to Arab inadequacy, Arab failure. Second, we saw the return of the Palestinians to the front of the stage. It is no longer the ‘Arab-Israeli conflict’; it’s the ‘Palestinian-Israeli conflict’. After 1967 the Palestinians were very much in control of their destiny, a dramatic turn of events. Third, the Arab states fought their last war with Israel in 1973. There has been no inter-state war between Arab states and Israel for 44 years. Once Egypt made its peace with Israel, there was no longer an Arab war option. Arab states could not make war with Israel without Egypt. So the Palestinians, left on their own, faced the brunt of Israeli power in the war of 1982 in Lebanon. You know, there is a direct but unintended connection between that war and the Oslo peace process. The people who went to war in 1982 against the Palestine Liberation Organisation (PLO) in Lebanon, didn’t intend to go to Oslo, and the people who went to Oslo from Israel condemned the war in Lebanon. But it was the crushing the PLO in Lebanon that created the reality in which, 10 years later, the PLO had no choice but to enter into a negotiation with Israel on the basis of UN Security Council Resolution 242. The Palestinians never accepted 242 when it was passed in November 1967. No surprise there: the words ‘Palestine’ or ‘Palestinians’ do not appear in 242. In November 1967 the Palestinians were not the autonomous player that they became in later years. The resolution created the principle of ‘land for peace’; Israel was supposed to give back the land it took in 1967 to the states it took it from. That is, to give the West Bank back to Jordan, not to create a Palestinian state. Israel’s withdrawal from the territories it occupied in 1967 is not unconditional – it’s land for peace. Israel is not required to withdraw from the West Bank unilaterally, unconditionally. It is only supposed to withdraw if the Arab side makes peace with Israel. In effect, 242 is very mindful of Israel’s security needs and is recognition by the international community that 1967 was a war of self-defence. In 242 we see what Zionism is in the eyes of the international community. In 1967, Israel was seen as a representation of Zionism as a great project of historical self-defence of the Jewish people against their horrific past. Israel’s legitimacy was based on this vision of Zionism as self-defence, in which the Zionists and Israel agreed to the partition of Palestine into two states. 242 followed the logic of the partition resolution of 1947; it speaks of all states in the region having the right to secure and recognised boundaries. So 242 was the beginning of the Arab states’ – if we’re talking about Egypt and Jordan – willingness to come to terms with Israel in a way that did not exist before 1967. The PLO never accepted 242 until 1988, and even then in a very convoluted way. Why? Because the Arab-Israeli conflict is divided into two major packages of issues that have to be negotiated, the 1967 questions and the 1948 questions. 242 only dealt with the 1967 file. Other issues – the origins of which are in 1948, and which are not so important to the Arab states, but are critically important to the Palestinians, most obviously the refugee question and the right of return – were not dealt with. In the negotiations between the Israelis and the Palestinians for the two-state solution, as far as the Palestinians are concerned, there must be some element of intrusion into Israel: the refugee question. And Israel requires some element of intrusion into the state of Palestine: security. These mutual intrusions, so to speak, make a deal so difficult to attain. Another legacy of 1967 is the beginning of the Israeli settlement project, and the creation of a new kind of Zionism, what I would call settlerist neo-zionism. This is a Zionism no longer about self-defence and partition, but about the messianic, religious redemption of the land and a rejection of the idea of partition. And this is where Israel clashes with the international community. Look at UN Security Council Resolution 2334, and look at the speech by then US Secretary of State John Kerry, both in December 2016. You can see a very clear distinction between a critique of the Israel occupation and the settlements, but not of Israel proper. There is an actual endorsement of Israel proper, in both the resolution and the Kerry speech. Kerry speaks about refugee return, as did the Clinton parameters of 2000, only in the framework of a two-state solution, preserving the nature of Israel as the state of the Jewish people. That means refugees will return to Palestine not to Israel. The critique in 2334 of the settlements as a ‘flagrant violation of international law’ calls upon all states to distinguish in all their relevant dealings between the territory of the state of Israel and the territories occupied since 1967. In other words, Israel pre-1967, in 78 per cent of Palestine, is entirely accepted as fully legitimate by the international community. This was not the situation pre-1967. In the mid-1950s, Israel was called upon by the great powers to give up parts of the Negev in exchange for peace with Nasser, which never came to any fruition. But now there is an international consensus which has emerged on the contours of two states, and in this there is no erosion of Israel as the nation state of the Jewish people. Therefore the international community is in agreement with the Palestinians on the 1967 questions but not on the 1948 questions. The Palestinians therefore have the full support of the international community when it comes to settlements and dividing Jerusalem, but not on refugee return. Today’s Middle East is not what Israel’s founding fathers expected. David Ben-Gurion and his generation were a pessimistic lot. They thought that Israel would find it extremely difficult, if not impossible, to manage the potential power of the Arab states. They feared those states would modernise, and with their huge populations and relative wealth they would create massive armies with the support of the Soviet Union. Israel, with its very small population, would find it very difficult to maintain a conventional balance of power. Israel went nuclear because of this belief in the long-term power of the Arab world. Well, the Arab states did not get stronger and stronger. They got weaker and weaker. The war of 1967 was an indication of precisely that. And since 1967 they have got even weaker. Israel is now confronted not by the power of the Arab states that the founding fathers feared, but with Arab weakness. The defeat in 1967 was itself a symptom of the decline of the Arabs due to their failure to modernise successfully. There are a series of reports written by Arab scholars for the UN– the Arab Human Development Reports. These reports are eloquent about the reason for the crisis of the Arabs: the three great deficits of political freedom, first world education systems and gender equality. These deficits have resulted in weak Arab economies; especially weak in the sphere of innovation, which requires freedom of thought, creative thinking and good universities. So Arab economics lag far behind the Western world in a globalised era. And all this is worsened by the lack of gender equality. If women are not well educated and not incorporated into the workforce for reasons of tradition, you have two consequences: economies where almost half the population doesn’t work; and women who are not involved in the workforce and have low education tend to have large families. Add all this together and you have poorly preforming economies with rapidly growing populations, which is a recipe for disaster. This is not a prediction; we are going through it now. That is what the Arab Spring was about, the clash between the forces of modernity and tradition, and the failure to modernise successfully. There is now an Arab human disaster: state failure, sectarian conflict, millions of refugees, economic crisis, collapsing health systems. And this is a disaster that the Arab states are not going to overcome any time soon. Even Egypt, which has overcome its internal instability, is still a country suffering from profound economic difficulties. However stable Egyptian President Abdel Fattah al-Sisi has made Egypt, overcoming Egypt’s economic difficulties is not on the cards any time soon. What is Israel to do with Arab disarray and disorder? The threat from this Arab world of disarray is from non-state actors who are benefiting from the weakness of the states: Hezbollah and Hamas and ISIS and their ilk. And there is the threat from Iran too. “Israel pre-1967” was only 20% of Palestine, not 78% of it. The Palestine Mandate included what is today known as Jordan. Article 25 of the Mandate unequivocally shows this. When Britain unilaterally created Jordan in 1922 ( known at that time as Transjordan), it did not terminate its mandate, nor did it reduce its territorial extent. If Israel decides to cede additional land, it will not be because of any obligation on it, but solely for reasons of pragmatism. I have two poins of disagreement with what you have written in this article. First, you refer to UNSCR 242 and stress the importance of “land for peace” and that Israel is to withdraw from the West Bank and East Jerusalem only if the “Arab side” makes peace. This “principle” has taken place and “the Arab side ” did make peace and the border with Jordan has long been secured. Israel, however, has not withdrawn from the West Bank and east Jerusalem and is in violation of 242. Secondly, you then claim that the war of 1967 was “a war of self-defence.”. That, however, does not imply or allow Israel to remain in the West Bank or east Jerusalem. Furthermore, international law forbids, and terms as illegal, the acquisition of territory by bellicose means. That law applies to a war of agression, a war of “self-defense” or whatever. Consequently, Israel is inviolation of international and has to withdraw from all territory occupied in the war of 1967. You seem to have made a mistake regarding the Mandate for Palestine. In 1922 Br. created a new mandate and it was called the Emirate of Transjordan and was independent of the Mandate for Palestine. This change was legalised by the League of Nations. There is, therefore, a basic flaw in your argument. The Mandate for Palestine was subject to the Balfour Declaration the E of T wasn’t. Therefore, your point is invalid and what follows it also invalid. What’s missing from Prof. Susser’s analysis is the rise in numbers of Haredim (ultra-Orthodox Jews) and Arabs within Israel of the pre-1967 borders. 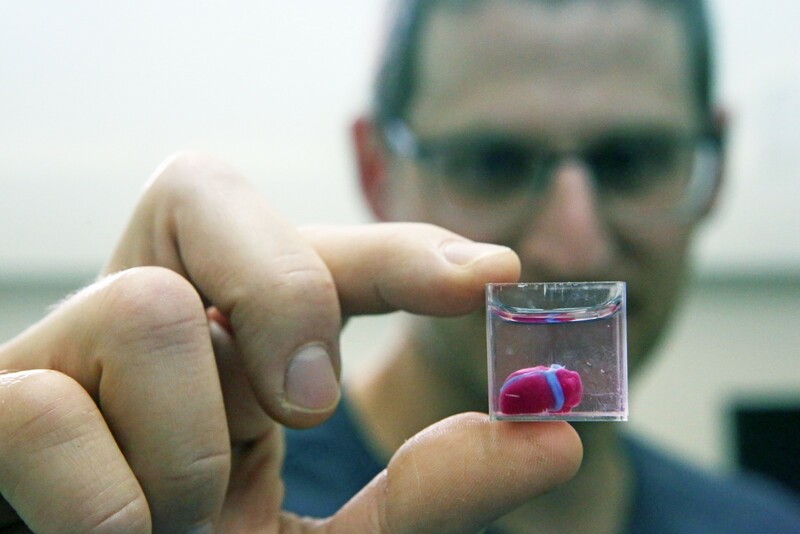 In a few decades, both Haredim and Israeli Arabs – because of their huge birth rates – will form a critical mass, half of the population of Israel. 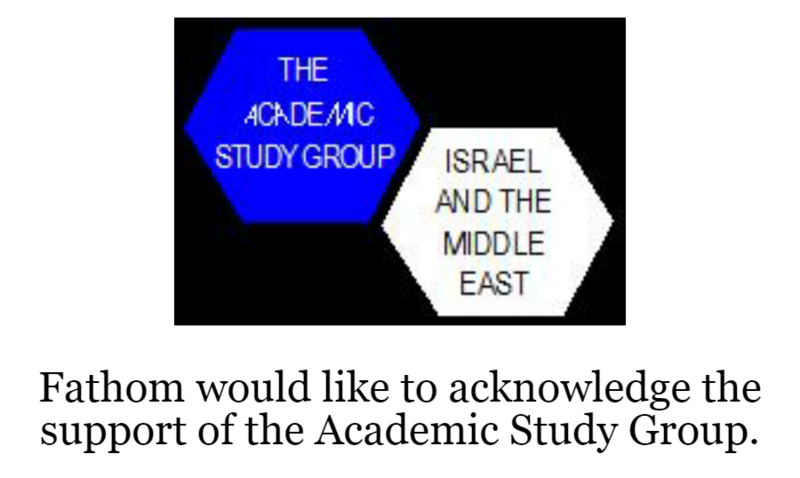 Both of these groups are indifferent or hostile to Zionism. Many Jews in the Diaspora will turn away from such an Israel. Equally important is the fact that that Haredim in Israel and the Diaspora are fiercely hostile to non-Jews. One has only to read their books and newspapers, especially in Yiddish and Lashon Kodesh (pre-Zionist Hebrew). Their aversion to Gentiles in Halacha (Judaic law) is based on religion and theology, not because of persecution and pogroms. Hence, Haredim, whether in Stamford Hill (London), Brooklyn (New York ) or Jerusalem wear their peculiar clothing to distance themselves as much as possible from the “lowly” Gentiles and non-Haredi Jews. 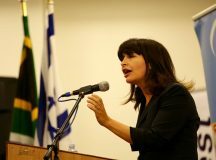 An Israel dominated by Haredim in 2050 will lose the support of a liberal and multicultural America, Israel’s vital ally.